Here is a discussion with more ways to do the same thing. Message is clear, but how do I do this?? Took me a while to figure out. Inside of a subscription pick “Resource providers” – you’ll be presented with a list of providers. From the list of providers pick microsoft.insights and click Register. Last week I’ve messed up a big time. I was doing Azure Storage Account migrations via a PowerShell script, part of that script was deletion of old resource group. That group was meant to be empty every time because I was moving resources out of it. At one point script threw exception and last storage account was not moved out of the resource group, but last line of the script was to delete that resource group. And it deleted the storage account. OOOOPSSS! We had backups of data, but that accident made us think twice about our practices. So as part of a response to that accident we decided to use RM locks on all resources. 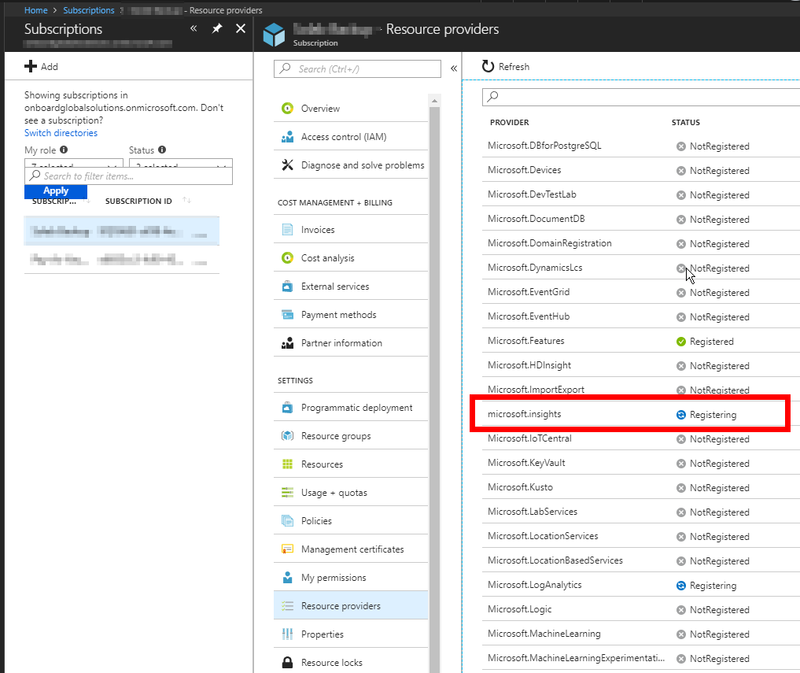 Azure Resource Management allows to lock subscription, resource group or individual resource to prevent users from accidentally deleting critical resources. Locks can be CanNotDelete or ReadOnly. Read more about locks in official documentation. If you put a subscription lock it covers all resources and groups within this subscription, but for our purposes this was too generic – you remove a lock and all of your resources are open for accidental deletion. So I settle on adding locks per Resource Group. Recently I purchased Amazon Alexa, just for fun. Initially wife wanted a radio or a Bluetooth speaker on kitchen. And Alexa was cheap enough to use as a speaker/radio. On the first day I’ve asked it a bunch of questions and got a lot of rather disappointing “hm.. I don’t know that one”. Yeah, sure it can tell me weather and news briefing. Kitchen timer is rather useful (unless it mishears you and resets it instead of pausing). I’ve tried a bunch of skills and none of them were particularly good/useful. Idea was to get a cook-book, but nothing descent was available (there are Allrecipies, but not available in UK). And for listening to a music – that’s another disappointment. Turns out that all my MP3s I’ve collected over the years are worthless here. To be able to listen to a music I need to purchase one of the streaming services (Amazon Music or Spotify). But I want my music, not streamed. I’ve wasted a lot of time searching for solution. There were a few options. There is Synology (of which I’m an owner) skill, but that’s been only released in October 2017 and not yet available. There is Plex server, but the this skill does not let me stream music through Alexa – it is a merely voice remote control for other existing player. I’ve seen a lot of developers telling their way of enabling Alexa to stream their music, but none of it was ever approved to Alexa skills market (why would Amazon allow for that? they sell music service!). And to get that working, involved a lot of work that I did not want to do. Another thing that I did not like was a way of activating the skills – I had to call it by name and ask for the exact specific command: i.e. Alexa, tell Hive to boost heating to 21 degrees. That’s rather a mouthful. Given I does not always work from the first time, I can turn on my heating on my phone faster. I’d much rather prefer Alexa, boost heating, but that did not always work. Same goes for other skills: Alexa, ask Radioplayer to suggest a station or Alexa, ask [skillname] to do [command-name]. Well, yes, I understand that we are dealing with computers here where precise commands are required, but the last thing I want to remember is that silly skillname to get myself some radio. Granted, there is a built-in TuneIn online radio with hundreds of radios to choose from – problem here to remember (or rather know) the station name I’d like to listen to. Also I was hoping for advertised shopping list and to-do list to be voice-activated. But my preferred service Wunderlist was supported as a second-class citizen and to add items to my Groceries list I had to go like Alexa, tell Wunder Link to add eggs to my Groceries list. I was hoping for Alexa, add eggs to my shopping list but that is not available. However Todoist.com had a better integration, but I’m not sure I like it better. I grew fond of Wunderlist simplicity and bells-and-whistles of Todoist are overkill for my simple lists. Anyway, that device turned out to be not that useful as I was hoping it to be. So now I’m pondering should I try and build a skill for Alexa (and what should it be?) or just send it back to Amazon? The probem came up when I tried to specify a version number I’d like the package to have. There are answers on SO telling me how to do it and I’ve used it in the past. But this time it did not work for some reason, so I had to investigate. Here is the way it worked for me. Microsoft has a strange idea that anybody would want their PC to be woken up during the night to do the maintenance task. WHY??? All my PCs have encrypted drives and password is required for windows to boot. So even if PC manages to wake itself up – it is stuck on password prompt. DUH! If you see Reason: Windows will execute 'Maintenance Activator' scheduled task that requested waking the computer. 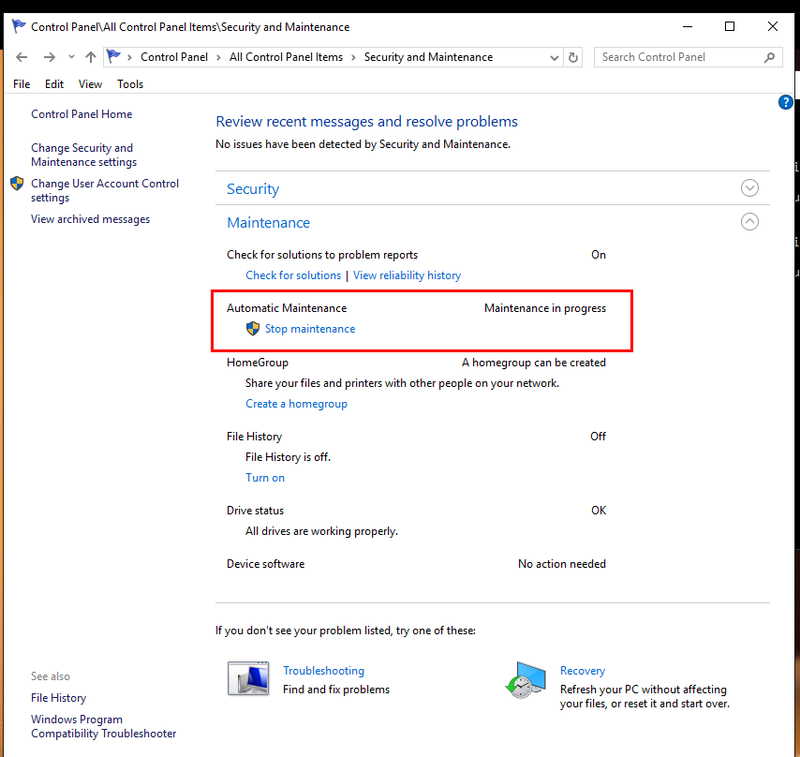 Head to Control Panel -> Security and Maintenance -> Expand Maintenance. There will be an option to disable waking your PC for Maintenance. And another discussion with a lot of details. I’ve blogged about user impersonation in Asp.Net MVC three years ago and this article has been in top 10 of most visited pages in my blog. Since Asp.Net Core is out and more or less ready for production, it is time to review the article and give guidance how to do the same thing in Core. Approach have not changed at all, we do same steps as before, only some API been changed and it took me a bit of time to figure out all the updated API parts. Impersonation is when an admin user is logged in with the same privileges as a user, but without knowing their password or other credentials. I’ve used this in couple applications and it was invaluable for support cases and debugging user permissions. The process of impersonation in Asp.Net core is pretty simple – we create cookie for potential user and give this to the current admin user. Also we need to add some information to the cookie that impersonation is happening and give admin a way to go back to their own account without having to log-in again. In the last couple years I’ve built a few libraries for public and internal consumption. Mostly these have been internal things, but they are not much different from OSS libraries. So far the most popular libarary I’ve released open-sourced is Cake.SqlServer but I’m mostly proud of NSaga though it is not as used, mostly due to lack of marketing effort on my part. Both of these are still on v1.x though these are young libraries – both under 1 year of age at the moment of writing. In a sense libraries for internal consumption are easier to build – you can break things and then fix the broken things in the downstream projects (or tell people how to fix). If your library is publicly released you need to be much more careful in how you handle breaking changes and how you define your public API surface. Semantic versioning is supposed to help you manage the breaking changes, but you still need to minimise the possibilities of breaking things for other people. If you are not careful and break a lot of stuff, people will be pissed off and eventually move away from your library. You need to consider what framework version you build for. Nature of .Net framework – every version is an increment on the previous, so library built for v4.5 will work in v4.6.1. But not the other way. So you need to pick the lowest version of .Net you’d like to work with and stick with it. I think it is fare to say that no currently developed project should be below v4.5. There is no reason to stay on lower version and upgrade from v3.5 is relatively painful. So my rule of thumb is to target v4.5 as a baseline, unless I need framework features that are only available in later versions. Well, yes. Thanks for letting me know that this project name was used before. And I obviously don’t care about these workspaces – the PC where these were used no longer exist. 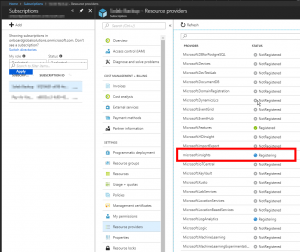 The last bit is coming from the error message in VSTS: ws_1_1;b03e2eb0-22aa-1122-b692-30097a2fa824, ws_dd5f57e41;b2345678-98a0-4f29-13692-30097a2fa824 Name from the owner is separated by ; and different namespaces are separated by ,.